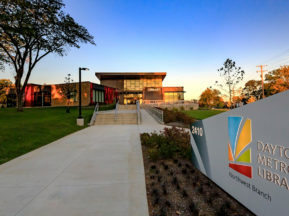 Covering 1,371 acres, more area than New York City’s Central Park, Forest Park houses golf courses, museums, recreational facilities and the famous St. Louis Zoo. 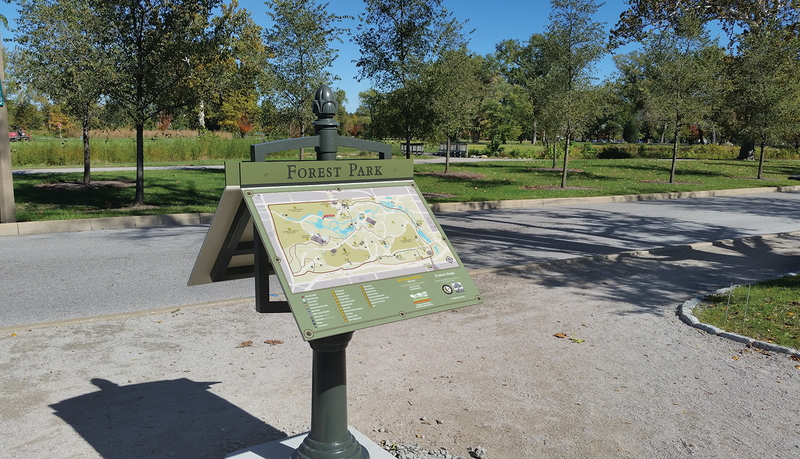 It is the 6th most visited urban park in the U.S., and it is estimated that a quarter of Forest Park’s 13 million annual visitors come from outside the St. Louis area. 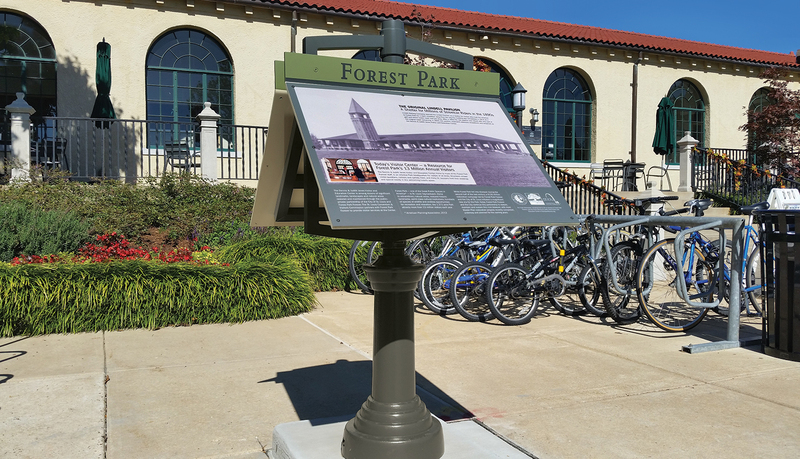 Dedicated in 1874, it was originally designed for horses and buggies. Today, those meandering roadways create confusion for visitors and conflicts between vehicles and pedestrians. 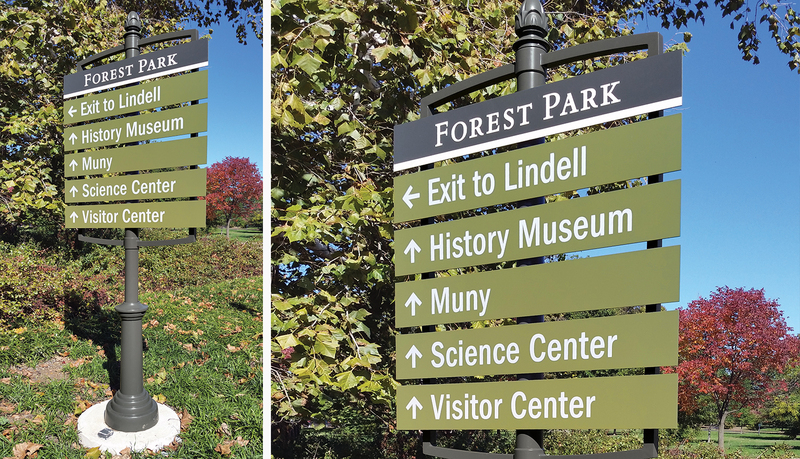 Forest Park’s old brown navigational signs, intended to be temporary when they were installed years ago, were confusing and incomplete. 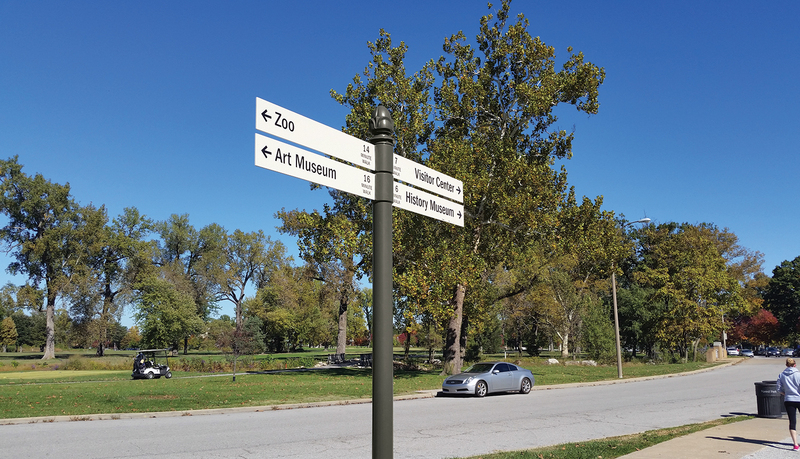 After completing a comprehensive planning and design process led by Corbin Design, the City of St. Louis selected ASI to manage implementation of the new wayfinding system for the city’s premier park. 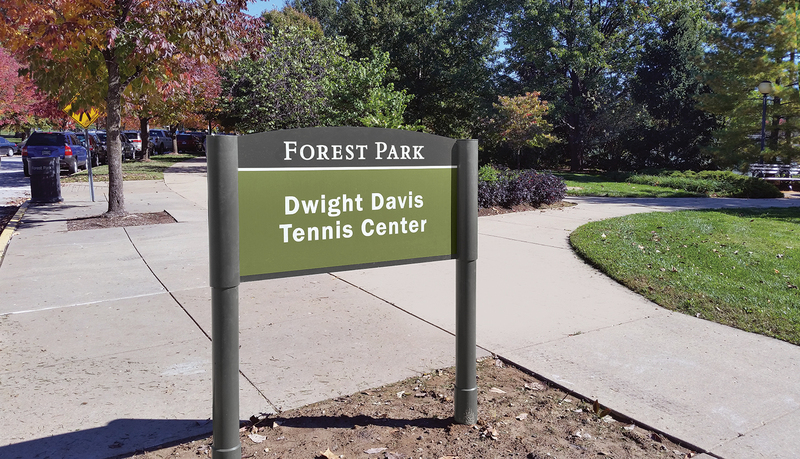 The system objectives included building awareness of all that Forest Park has to offer, informing all visitors that there are several ways to enter and exit the park and giving visitors a sense of the distance between major destinations, so they can choose to walk rather than drive from place to place. 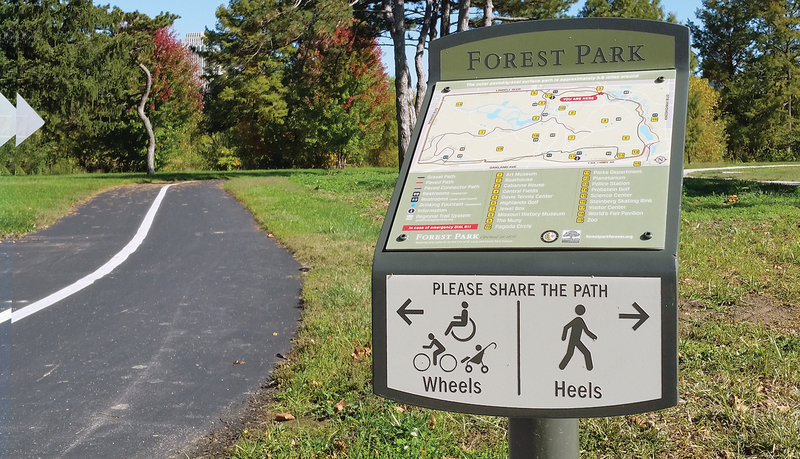 The elements of the wayfinding system included 239 vehicular guides, pedestrian guides, street ID’s, Parking ID’s, destination post & panel signs, trail maps, map kiosks, and banners. 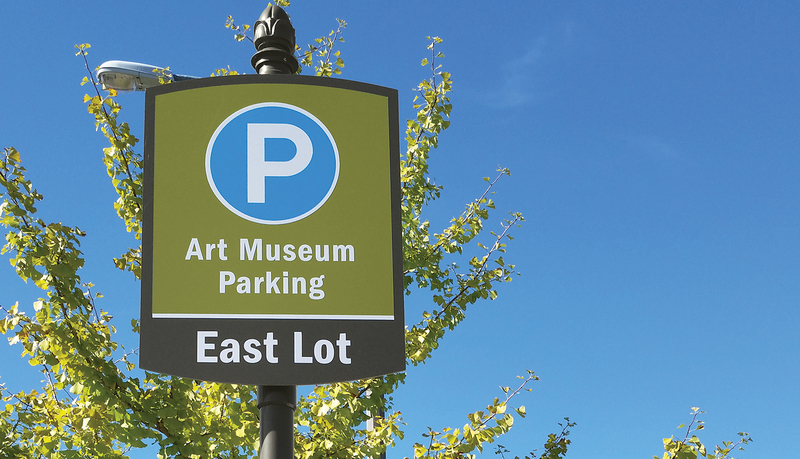 The signs were designed to direct patrons first to primary visitor destinations and parking as well as to be legible from the roadways within the park. The number of destinations per sign were limited to accommodate visability from moving vehicles. 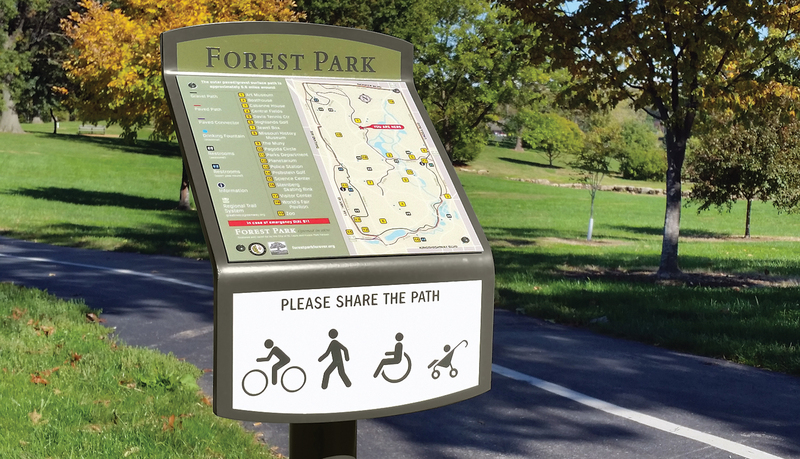 A major goal of this system was to encourage people to park once, and walk within the park as they are able. 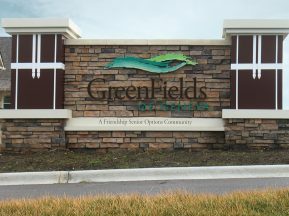 At the same time, the signage needed to fit within the context of the park, its historical structures and natural features. 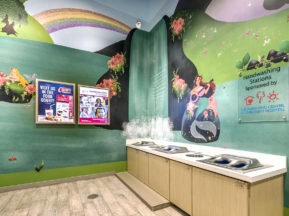 Project implementation was a major endeavor, working with the city’s project management team, Forest Park Forever, and Corbin Design to meet design intent and other project objectives. Engineering for maximum life and vandal resistance were key elements, while maintaining cost-effective changeability. 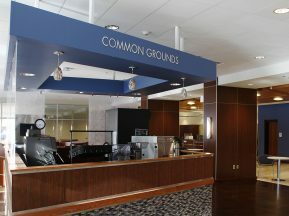 ASI employed one primary manufacturing facility for fabrication, designed & sourced custom decorative clamshell bases, and contracted WBE/MBE firms for demolition and installation services to meet city objectives. 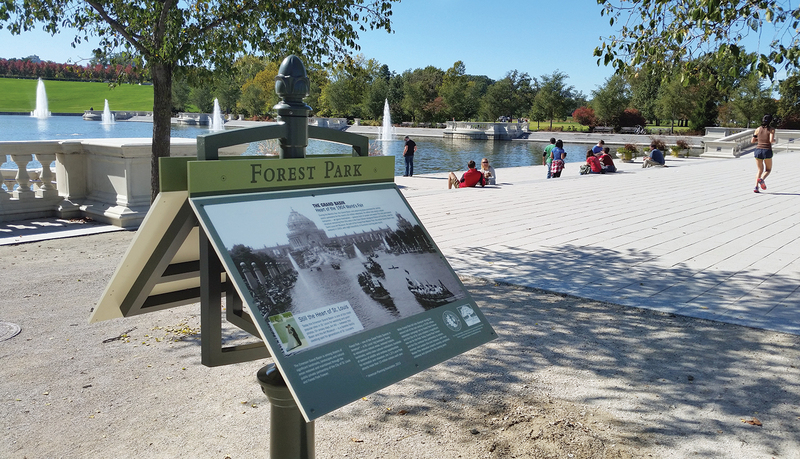 Today, visitors to Forest Park benefit from this combined effort to improve both the image and wayfinding throughout the park.